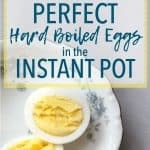 All it takes is a few simple modifications to adjust a recipe for the Instant Pot. 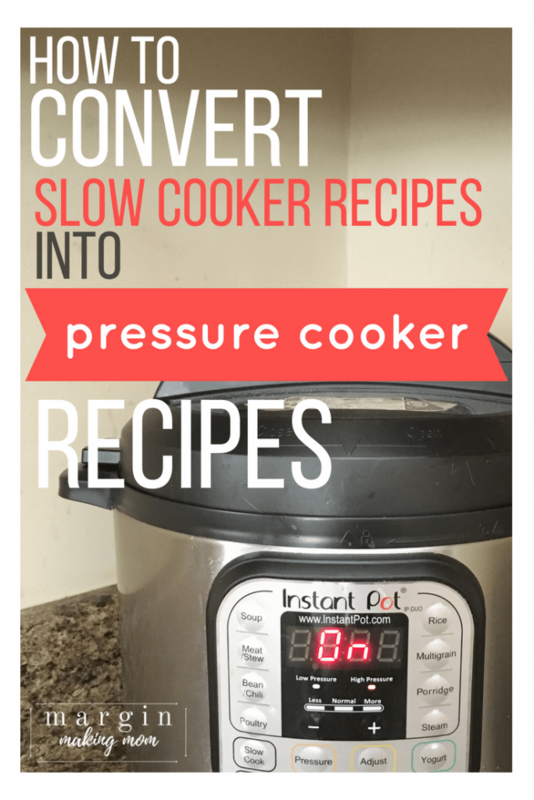 Follow these tips for slow cooker to pressure cooker recipe conversion! If you are new to pressure cooking, you may be on the hunt for easy pressure cooker recipes to add to your weekly meal plan. Or, you may be wondering if you can convert some of your favorite slow cooker recipes to pressure cooker recipes. Good news! The answer is usually “yes,” but with some adaptations. In fact, most slow cooker recipes convert pretty easily for the pressure cooker. This was something I discovered out of necessity after purchasing my Instant Pot. I had intentions of making a slow cooker meal for dinner one day, but I forgot to throw everything into the slow cooker earlier in the day. As dinnertime neared, I wondered if I could make the same meal in my Instant Pot pressure cooker instead. Imagine my surprise when pressure cooker recipe conversion turned out to be so easy to do! 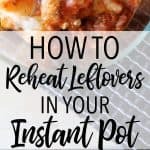 It’s worth noting that the Instant Pot actually has a slow cooker function, which you can always use to make your favorite “slow and low” meals. 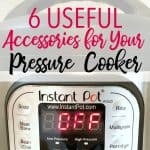 But, if you are like me and sometimes need a faster method of meal preparation, using the pressure cooker function of the Instant Pot is a great way to cut meal prep time way down. And don’t forget that you can program a timer on the Instant Pot, allowing you to put everything in it now and have it start cooking later at a predetermined time. With just a few tweaks or adjustments, slow cooker recipes can be easily converted to easy pressure cooker recipes. This can allow you to make your family’s favorite meals in a fraction of the time! Let’s take a look at some of the most important things to consider when converting a slow cooker recipe to a pressure cooker recipe. There is no magic formula for converting recipes for the pressure cooker. I recommend having at least some experience with your pressure cooker first before trying your hand at converting recipes. It can be hugely helpful to find a similar pressure cooker recipe online prior to making your conversion. This will give you a ballpark of cook times and any other adjustments that will need to be made. You must have some water or other liquid. Pressure cookers require a certain amount of water or liquid in order to achieve pressure–typically at least 1 cup. 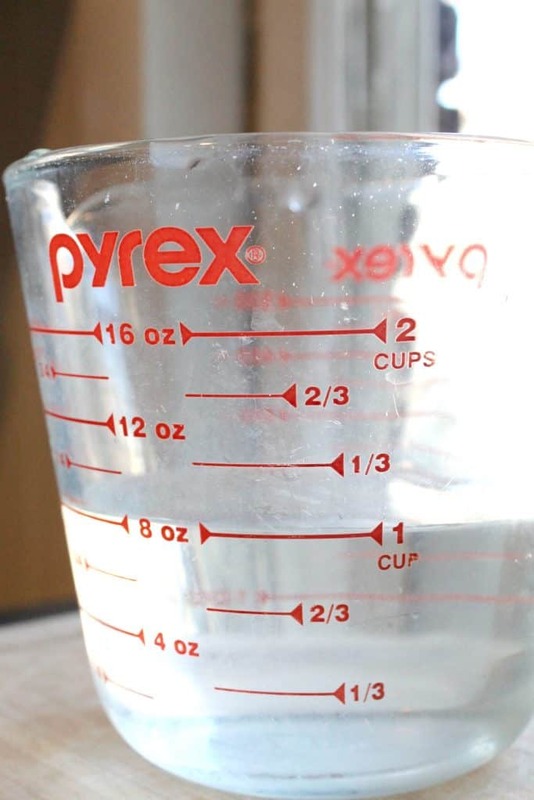 Changing the amount of liquid may be necessary if your slow cooker recipe requires very little water, such as 1/4 cup. In this case, increase the amount to 1 cup. The exception to this rule is if you’re cooking foods that will produce liquid during cooking, in which case you can get away with a little less water in the beginning. But in general, aim for at least one cup of liquid. Pressure cookers and slow cookers both have very little evaporation, so most liquid amounts will probably be similar from one appliance to other other, as long as you meet the minimum requirement of 1 cup. Depending on the size of your pressure cooker, you may need to decrease the amount of liquid and food you place in it. The pressure cooker should never be filled more than 2/3 full. If you are cooking foods that expand or create foam while cooking (such as rice, other grains, beans, and some fruits), you should not fill the pressure cooker more than 1/2 full. Don’t use wine or liquor under pressure. If your recipe calls for the addition of wine, you will need to make some adjustments, as wine remains unchanged when cooked under pressure, resulting in a tart raw flavor. Most recommendations suggest you should decrease the amount of wine by about half, then use the saute function of your pressure cooker first to reduce the wine over heat. After this step is complete, you can proceed with pressure cooking. You should avoid using liquor under pressure. Because it is high in alcohol and doesn’t actually evaporate during cooking, the alcohol is dispersed in the steam, making it highly flammable. Pressure cookers cook much faster than slow cookers, so your cook time will need to be adjusted accordingly. 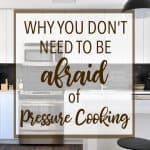 It is important to note that it does take some time for the pressure cooker to reach pressure, at which point it then begins counting down for the specified cook time. The amount of time needed to reach pressure will vary based on the fullness of the pot and the temperature of the ingredients. As the Instant Pot is building pressure, the food inside is doing some cooking as well, so keep that in mind. I also have found the book Pressure Cooker Perfection by America’s Test Kitchen to be very helpful, both as a source of delicious recipes and for the cook time charts it contains. Using a natural pressure release with meat will provide the best results as far as tenderness goes. This just means you let the pressure fully release on its own after the cook time is complete, waiting for the valve to drop before opening the lid. If you are using a recipe that contains meat AND other ingredients, such as grains or vegetables, you may want to cut the meat into smaller pieces so it will have a shorter cook time closer to that of the other ingredients. Otherwise, you can cook the meat for the recommended time and then add the grains or vegetables afterward, followed by a cook time appropriate for those ingredients. Save milk and cheese until the end. If your slow cooker recipe calls for milk or cheese, do not add these prior to pressure cooking. Cooking these ingredients under pressure can cause clumping. Instead, after pressure cooking, you can stir in these ingredients. There are times when using cheese works in Instant Pot recipes, such as in this pressure cooker lasagna (I think it seems to work best when it’s not mixed into something else), but as a general rule of thumb, I try to save it for last whenever possible. If your slow cooker recipe uses thickening ingredients, such as flour or cornstarch, these should be added after pressure cooking. Thickening ingredients can thicken the liquid in the pot to the point that it is difficult to boil, which affects the cooker’s ability to reach high pressure and can cause scorching on the bottom of the pot. 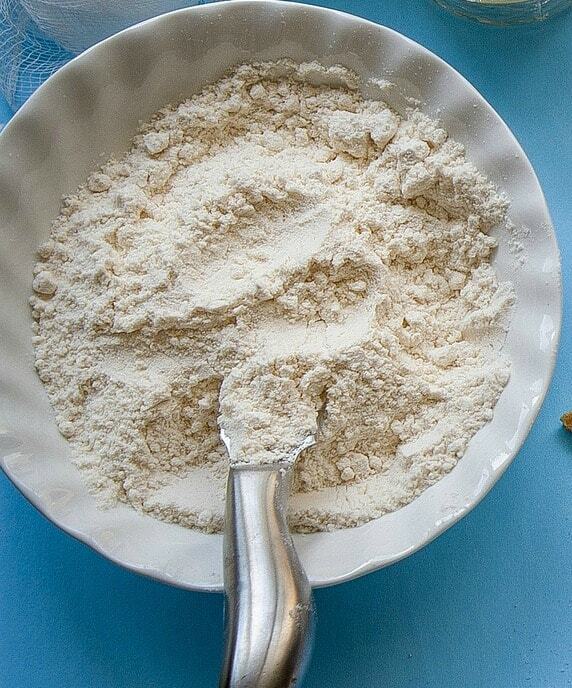 If you need to add thickener, consider making a slurry of flour and water or cornstarch and water and stirring that into the pot after pressure cooking is complete, while the contents are still hot. You can even use the saute function of the Instant Pot if needed. Pre-packaged, processed ingredients that contain thickeners such as condensed “cream of” soups and many seasoning packets pose the same threat, particularly if there’s not enough liquid to dilute them. I’ve had success with adding seasoning packets in when there’s plenty of liquid (as in this Instant Pot creamy tortellini recipe and this Instant Pot taco soup recipe). For “cream of” soups, sometimes it seems to work best if you add those ingredients on top of everything else and don’t mix them in, so as to avoid making the liquid too thick. Once you’ve converted a slow cooker recipe to a pressure cooker recipe, jot down notes about what did or didn’t work. You can keep a specific pressure cooking notebook or simply add notes to the original recipe that you were using. Keeping track of your techniques and adjustments will come in handy the next time you want to convert a recipe! 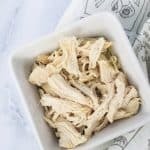 Converting your favorite slow cooker recipes to easy pressure cooker recipes can save you a lot of time. By following the above tips, your family’s favorite recipes can be on the table in a flash. To make it even easier to remember these tips, I’ve created a FREE printable recipe conversion cheat sheet for you! It’s great for printing and adding to your recipe binder. Or, keep it handy in the kitchen for an at-a-glance reference for pressure cooker recipe conversion. It’s included as part of my free guide to getting started with your pressure cooker. Get yours by signing up below, and make it even simpler to make your favorite slow cooker recipes in the Instant Pot pressure cooker! When I click to get the cheat sheet it takes me to a page to sign up for emails. I have already signed up – now I need the cheat sheet. Any help would be appreciated. Thanks! Hi Mary! If you are already signed up, there’s no need to sign up again. The first email you received from me after signing up has the link and password to the resource library, where you can download the cheat sheet. Hope that helps–let me know if you still have trouble! Worked great. Looking forward to checking out all you have to offer. Love what I’ve seen so far. Thank you! Hi, Chrysti – I can’t seem to find the cheat sheet either. It’s probably right in front of my face but is it an actual sheet of some sort or a list of paragraphs of what to do. Help! Hi Janet! In the email you get when signing up, there is a link for you to download the getting started guide. Within that guide, there is a page that is the cheat sheet. I also just sent you an email with the cheat sheet as an attachment, just in case you still aren’t able to find it easily! Yep….it was just like I said. Right in front of my face. Thanks for the quick response and personal help, Chrysti. I’m off and running now. I was added on the email list and when I tried to copy the conversion chart, it asked for a password? How do I sign up for the emails so I can get the conversion cheat sheet, please? TY! Hi Barbara, there is a sign up form on the page (scroll up from these comments, to the end of the article to see it) that says, “New to Pressure Cooking?” You’ll get a beginner’s guide to pressure cooking, which contains the conversion cheat sheet. Hope that helps! Let me know if you don’t see it! Hi Barbara–I apologize that it still isn’t working for some reason. Perhaps the email landed in your spam or junk folder? I can see in my system where you did sign up, so I’m not sure why it didn’t work properly. It normally delivers in just a few minutes. At any rate, I wrote you an email this morning (at the address you signed up with) and included the guide in the email. Please let me know if you still don’t get it! Thank you for an awesome guide. I was looking for something like this but never found anything practical. Keep it up. 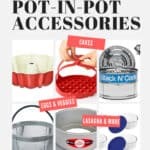 what is the difference between a electric pressure cooker and an instabt pot? Fantastic & Super Helpful. Thank you for doing this. I love my slow cooker, but have been hesitant at trying the pressure cooker. All of the questions and answers were so useful. Thank you. Have recently bought an instant but am only just beginning to use it and am still wary of it. Question. If recipe has 8oz of diced tomatoes do you still add a cup of water? Thank you. Hi Christy, Thank you for an awesome guide. I was looking for something like this but never found anything practical. Keep it up. Most recipes for instpot refer to a sauté mode but mine does not have one. The modes available are canning/preserving, soup / stew, slow cook, rice/ risotto, beans/ lentils, fish/ veggies, meat/chicken. Do you know which would translate to sauté? Hi Nancy! That’s a great question. Most often, the different presets are simply programmed for different lengths of time, and most of them are high pressure presets. To use one of those settings for sauteeing, just turn on the setting and leave the lid off–this will allow the pot to heat up but not achieve pressure. So the insert pot will be hot enough to saute in. You could just use meat/chicken and turn it off when you’re done sauteeing (or switch to whichever preset you want to use after that). I hope that makes sense!